I cant believe drinking Oligo is like I was drinking Nestle Milo. There was nothing wrong with my tongue. I cant differentiate the taste. Despite some people said Oligo has bad taste. When people said Oligo, a not so good chocolate drink I thought to myself that "how bad it can goes" ? Oligo is one of the many beverage brand under one big company. It Power Root. I believe you have seen Power Root advertisement. It always triggering my human desire to win RM 1 million. Even the oldest chocolate beverage in Malaysia such as Milo, it did not had this kind of RM 1 million advertisement. Believe it or not both of these chocolate beverages tasted the same. It like a replicate of it or they just has different packaging. That all of it ! Speaking about Power Root, they have extensive beverages products for Malaysian consumers. They have their own version of Red Bull and wide selection of Nescafe. It is up to Malaysian consumer whether to support Power Root or other brands. There is one important noticeable factor among those beverage products, particularly Power Root, all of them has no price range gap compared to other brands. For example, one go to shopping mall picking up Oligo and Milo and notice the price are same. Why is that same price ?? 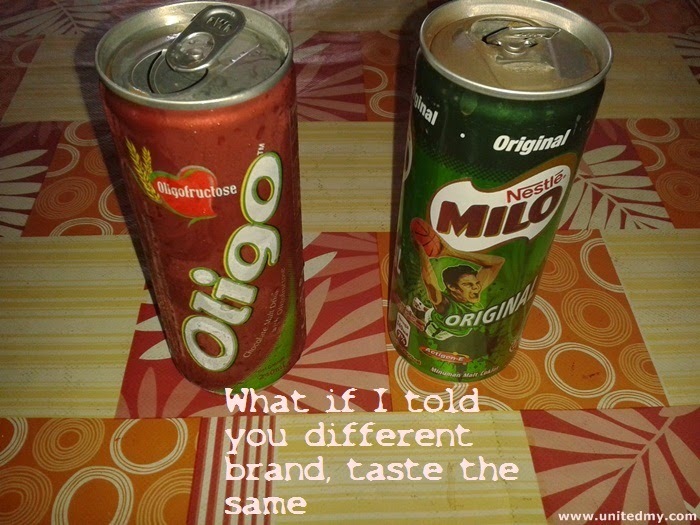 I thought popular brand such as Milo should sell higher whereas Oligo should sell in lower price. It does not work like that in beverage industry. If price and taste were the same what really a concern for consumer will be the brand. It seem like Nestle brand is stronger compared to Power Root and consumer are most likely to choose Nestle Milo over Power Root's Oligo.